Idealbirth - For the very best birth experience. A doula (pronounced doolar) is a woman who physically and emotionally supports women in their transition through pregnancy into motherhood. A birth doula provides resources, education, advocacy and support to pregnant women and their families in preparation for and during childbirth guiding and mentoring you through the process. A postpartum doula assists families bringing home a new baby after birth or following adoption. To be a doula is to be in a privileged position. It requires building relationships involving the deepest of trust. Doulas are trusted for their knowledge, experience, skill, and sensitivity they share with you at a time you are most vulnerable. Their sound knowledge of birth, the hospital system, and the unique needs of the couple they are caring for, making them an invaluable addition to your childbirth support team. The best results occurred when the continuous support was provided by a trained doula - someone who was not a staff member at the hospital and not part of the birthing woman's social network. But what does this look and feel like for you? She knows what normal birth looks and feels like. She will prepare you for the excitement and chaos of life with your newborn But most of all she will believe in you, be your greatest encourager and share your challenges and joys on this exciting journey. Delivering Strategies for your ideal birth. Give yourself the best chance of a positive birth in a hospital setting. 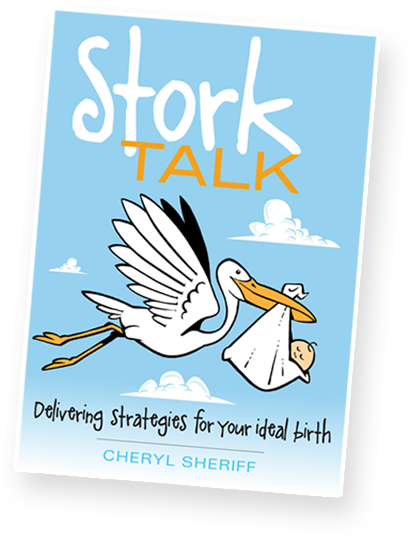 A new book by one of Australias leading doulas, Cheryl Sheriff. Sharing wisdom from her 30 years experience as a midwife and doula, and her presence at over 1000 hospital births. After reading this book you will have more direction, and feel confident, excited and less daunted by the experiences to come.